Read more about our paid search services below or contact us now to discuss your current PPC efforts and conversion goals. Through negative keyword research and testing, we bring the most relevant leads in to your site and optimize forms and landing pages to capture the most leads with the lowest possible CPC. We also do form creation and A/B testing. Can you cut our ad budget down for the time being, we literally have more quotes than we can process at this time. You won’t be sold a “package” at Leverage. Every business has different needs and goals, which call for different strategies. Our strategies are designed to fit your goals, not our convenience. Your business goals and ROI are the basis of our campaign strategies. We help you merge the gap between quantity and quality of leads to provide you with the lowest possible CPA to reach revenue goals over time. When people talk about PPC, they generally mean Google AdWords. Leverage evaluates all possible channels to get your ads in front of the right audience and maximize your return. We will always troubleshoot and debug analytics before beginning an engagement, no matter which services or combination of services you choose. Accurate reporting is an integral part of everything we do. Our PPC team is Adwords and Google Analytics certified. Our partner status gives us direct access to Google reps when your company requires answers urgently, as well as access to new beta programs. We are constantly testing and refining ad copy and messaging as well as your landing pages. This translates into higher quality scores and lower digital advertising costs for your company. Using our tools, we set up quality score tracking in order to monitor your quality scores over time. This gives us better insight into the health of your account and factors that might contribute to lower or higher quality scores over time. We set up conversion tracking and integrate it with your CRM platform so you can match revenue with conversions and analyze the success factors of ads that contribute to those conversions. We look at day over day and year over year budget trends and ad performance to predict your ad spend over time. We also analyze trends to estimate ad spend to reach your revenue or conversion goals. Consumers and business purchasers are taking longer to make decisions. To win business, you have to be present with the right message at every stage of the decision journey. In order for a PPC campaign to be the most effective, it needs to be tested and tweaked often. We constantly track results and review what the data tells us to adapt your ads and landing pages accordingly. This delivers the most lucrative results. Retargeting or remarketing to past clients and prospects often results in a much greater ROI than marketing to new prospects. We retarget your customers and prospects that have shown interest based on behavioral analytics and market trends. We use cutting-edge predictive bidding technology to optimize your bidding strategy using behavioral data from multiple channels. This innovative approach allows us to optimize campaigns to achieve customer lifetime value. By developing customized Adwords scripts, we can help you automate bidding and other activities in Adwords that save you time and money. We also develop scripts for customized reporting, giving you better insight into the performance of your online advertising efforts. With our research tools and access to beta programs, we are able to conduct the most thorough analysis of your competition and your industry to plan our campaign strategies so that you can get and stay ahead. Whether you are a fellow Austin-based company or not, our PPC analysts will feel like part of your team. We don’t just pass you over to an account manager, never to be heard from again after the first few meetings. Our analysts are on the phone with you and online with you, answering your questions and advising your team. They end up learning the in and outs of your office. You might think they’re right down the hall, even if you’re in Manhattan. We start by evaluating your prior and current marketing efforts, as well as the current competitive landscape, to develop campaigns with the most potential to meet your business objectives. We familiarize ourselves with your business goals and customers so that we can target the right audience at the right time—and get clicks that lead to conversions. We handle every aspect of ad campaign creation, from performing keyword research to writing ad copy and developing landing pages. We’ll help you get more out of your ads with ad extension, geo-targeting, and remarketing list creation. Through thorough research, we create ads for every stage of the sales funnel. 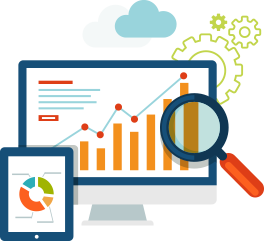 We track and adjust your PPC campaigns in order to optimize performance. We regularly A/B test ad copy and landing pages to hone in on the language that converts. With our ongoing testing, you’ll be able to see how your ads are performing across device types, check on your KPIs, identify negative keywords that can help you better target your audience, and more. You’ll be able to clearly see how your ads are performing with our regular status updates. We help you identify the path leads take from click to conversion, the lifetime value of your campaigns, and future strategies worth pursuing based on data trends. We also perform a deep dive into your ad copy to show you which messages most resonate with your audience. By continually monitoring your PPC performance, we are able to make budget recommendations, identify new targeting criteria, evaluate new ad channels, and test new campaigns based on previous successes. 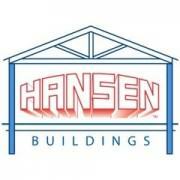 It’s all part of our ongoing efforts to maximize the value of your campaigns. These efforts translate to higher quality scores, lower costs per conversion, and greater ROI for your business. 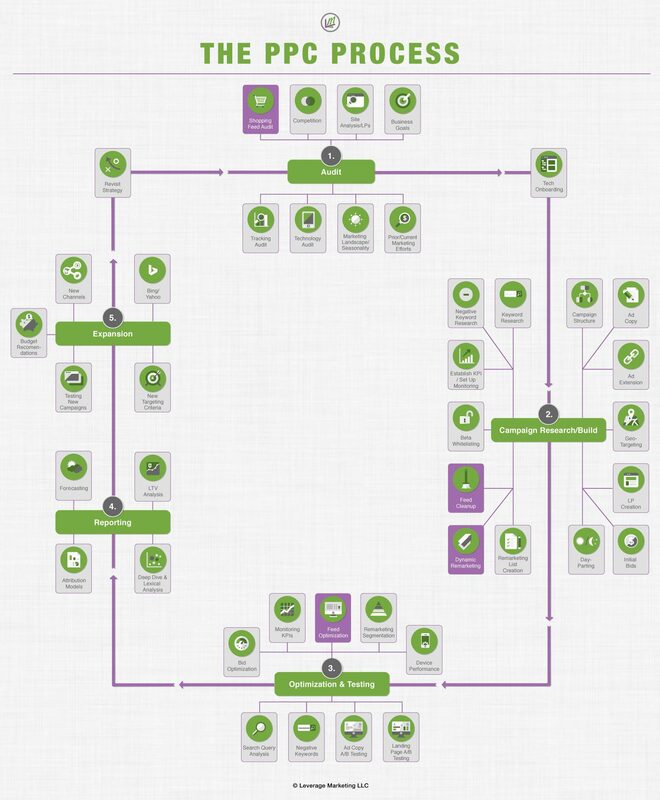 The purple icons above represent parts of our process that are specific to ecommerce businesses. 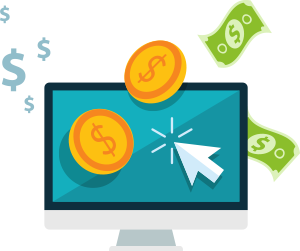 We have extensive experience running PPC campaigns for ecommerce businesses. If you sell products online, we’ll evaluate your Shopping Feed as part of our initial audit, and we’ll clean up and optimize your Feed as part of our ongoing efforts. We’ll use dynamic remarketing to help reach consumers who have already browsed your site. Our strategies are designed to increase sales, not just click-through rates. How big of a paid search budget do I need to be successful? It all comes back to your business goals and the realities of your margins. We work backwards from your business goals to determine the best starting budget and growth strategy that is in line with the goals you have set out. If you need guidance on where to start, we can provide that too. What can your PPC team offer that I can’t get if I hire in-house? 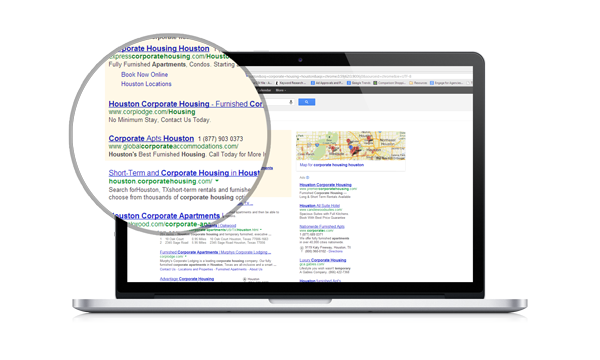 We offer experience, technology and a strong relationship with AdWords and Bing agency teams. All our paid search analysts dedicate 100% of their time to tackling paid search questions across a number of industries and clients. Chances are we have seen your problem before and know how to leverage tools and experience to get you returns fast. Can you handle Facebook and LinkedIn ads? Definitely. Let’s talk about how that fits into your overall strategy and find a plan of action that works for your company. How do you help ecommerce websites with paid search campaigns? We don’t shy away from the intricacies of ecommerce sites. Our team of experts create, manage and optimize product feeds for ecommerce clients and make sure they’re built to hit business goals. Custom bidding and on-site landing page testing are just some of the ecommerce optimizations we perform. How do you help lead generation websites with paid search? We tie paid search performance to down-channel revenue. We make it easy to not only learn what keywords, ad groups, and campaigns are driving leads, but what is driving actual revenue and closed business. This is one of the hardest parts for lead generation businesses to accomplish, and we make it a top priority. Learn the common mistakes that many paid marketing managers make and how to avoid them. Whether you're starting fresh or have been working on a campaign for years, you can fix your errors and meet your advertising goals. https://www.theleverageway.com/wp-content/uploads/2018/05/ppc-campaigns-f_30059569.png 300 900 Reuven Shechter https://www.theleverageway.com/wp-content/uploads/2016/05/logo-1.png Reuven Shechter2018-05-02 17:06:282018-05-02 17:06:28Why Do Some PPC Campaigns Fail?